I do like knowing what throws a customer’s experience off enough that they’ll take the time to go online, give a business one star and write a bad review. The reason I bring this up is because through my online lurking research, I’ve noticed that so many bad reviews are more about the experience and less about the product or outcome of a provided service. Yesterday I was looking for a physical therapist near me, and read the two one-star reviews out of the 20+ five-star reviews. Both bad reviews talked about feeling like they didn’t get enough attention from their physical therapist or that they didn’t understand the discomfort they were dealing with. The actual physical therapy was bad or uncomfortable. I didn’t feel any better after my appointment. They weren’t going back because of the bad experience the physical therapists created through their behaviour. Not the actual outcome of the service they paid for. These types of reviews show how much value shoppers put on the experience sales associates and business owners provide. 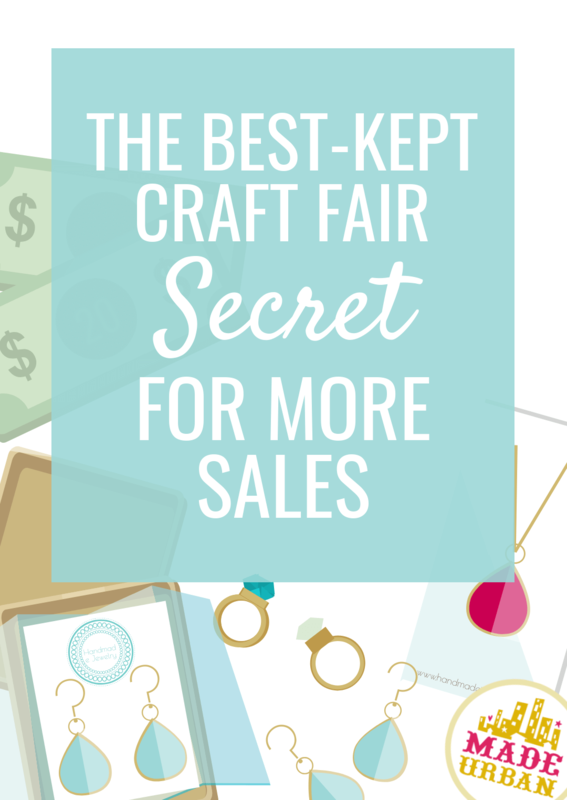 Which brings me to a best-kept craft fair secret you can use to your advantage. Most vendors are worried about their products, their display, where their table is, etc. Are people going to like my products? Does my display look professional? Conversation builds connections and connections drive sales. You don’t even have to connect with shoppers on a product level. I promise, if you have a product that has proven marketability (i.e. you’ve sold units and have proof it’s something people want…if you don’t have that, is it because you don’t have this? ), you will see sales increase if you go from quietly sitting behind your table to striking up a conversation and sharing a bit about you, your business or your products. Let me tell you why a conversation…any conversation…is so beneficial to your sales and one of the best-kept craft fair secrets. Think back to your shopping experiences. It’s almost guaranteed you’ve encountered the following. When you walk in a store and the sales associate looks up from behind the till, says “hi” and then goes back to what they were doing, do you feel like buying? You may find an item on your own but definitely won’t buy as much as you would if you had someone helping you. If you don’t find an item, the sales associate’s lack of attention makes it so easy to walk out without purchasing. 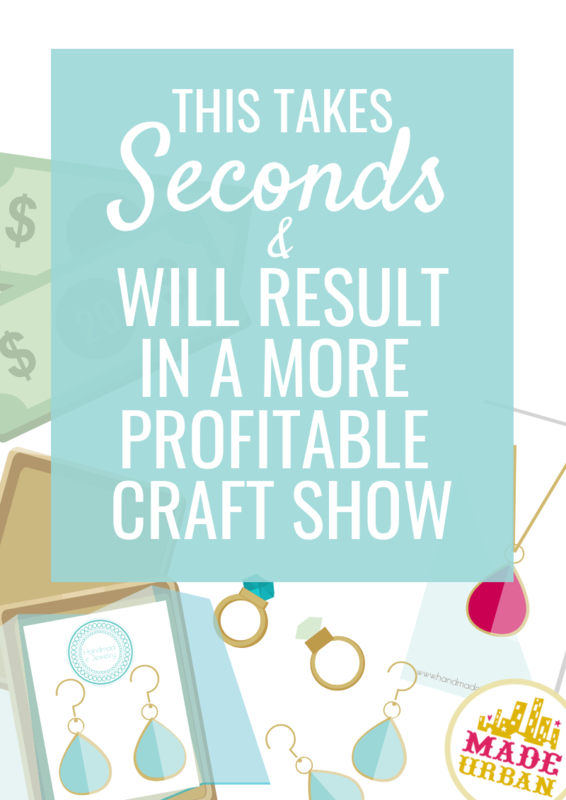 *Not to mention, it makes it easy for thieves to steal…use these tips to avoid theft in your craft show booth (yes, it does happen). When a sales associate ignores you, you don’t have to make up an excuse for not buying. You may even feel you don’t want to spend money in a store if the sales associate can’t be bothered to help you. No sales associate is intentionally ignoring you (unless you’re Julia Roberts in Pretty Woman, shopping on Rodeo Drive). I don’t want to pester them…I’ll just let them shop. They’ll speak up if they have any questions. I hate selling and no one likes to be sold to, so I’m doing them a favor. But their reason for ignoring you doesn’t change the way it makes you feel, right? You walk out feeling ignored and probably won’t remember much about that store or be in a hurry to return. You may even have negative thoughts and feelings connected to that store now. Now imagine the sales associate gives you a warm friendly smile, stops what they’re doing and asks you a more personal question. Hi! I wasn’t sure how many people would come in today. Nice work on braving the roads…I can’t believe all this snow we’re getting. Did you have to drive far? Let’s say you tell her you live on the west side and had to come downtown anyways because you’re meeting an out-of-town friend for brunch. You immediately feel a little more comfortable and the sales associate has several ways to uncover a connection with you. I grew up on the west end! I went to _________ school and hung out in the park next to it all the time, are you familiar with that area? Where’s your friend visiting from? Where are you guys meeting for bunch? Let’s say she asked where you’re going for bunch and you tell her the name of the restaurant. She’s been there, so she tells you how good it is and gives you a few menu suggestions. I’ll let you shop; let me know if you have any questions. She doesn’t pitch products or hover as you browse. Yet that short interaction has let you know they’re friendly enough you can talk to them, ask questions, ask their opinion, etc. They’ve opened the doors for conversation and made you feel comfortable. You feel a small connection with the sales associate and may even have a stronger desire to find something you love so you can support the store. Even if you don’t buy today, you’re going to associate a positive feeling with that store, might remember the conversation later and thus, the store, and be more likely to return. If you’ve bonded with the sales associate on some level (your distain for the weather, your love of an amazing eggs benedict, etc.) they’ve gained a bit of your trust. You realize you have something in common and you see them less as someone who’s trying to sell to you and more as a friend. How many strangers have you purchased from whose first words are “would you like to buy ___________?” For me, none. Too pushy. How many friends have you purchased products from when they’ve started their own business? For me, all. I may not need another room freshener, more Tupperware or another cleaning product under my sink, but I want to support them, because they’re my friend. That’s sort of what we’re going for here by building your conversation skills. No, you won’t be BBF’s by the end of your conversation but even small talk can create a small connection, which you can build on. We support people we like. If you sit quietly behind a table, shoppers don’t get an opportunity to see who you are and realize they like you. That small connection also makes your job easier. It feels more natural to go into a sales pitch after a short, personal conversation, than it does to lead with it. You’ll also get a more genuine answer. But once the sales associate knows where you’re going for breakfast and who you’re going with, you feel like she’s actually interested in what you’re looking for, why you need it, where you’re going to use it, etc. And you’re more likely to share details, which are necessary to suggest appropriate products and point out important features. If you told her you’re looking for a gift for the friend you’re meeting, she may ask a few questions about your friend and the type of gift you’re thinking of. This is a great scarf for a gift because it goes with almost any coat color and won’t be irritating for people with wool allergies…it’s not itchy at all so everyone finds it really comfortable. It’s also a good price point and fits within your gift budget. Once someone is ready to buy, don’t forget to use a question like this to increase the amount of money you make per transaction. It’s not enough to just offer great customer service. You must make an emotional connection. Which comes from customer service that doesn’t feel like customer service. It feels like a conversation between friends. Once you make that connection, it’s so much easier to pitch your products. But don’t throw all that hard work out the window with a bad and inauthentic pitch. Talking about your products should be just as comfortable and natural as talking about the weather. 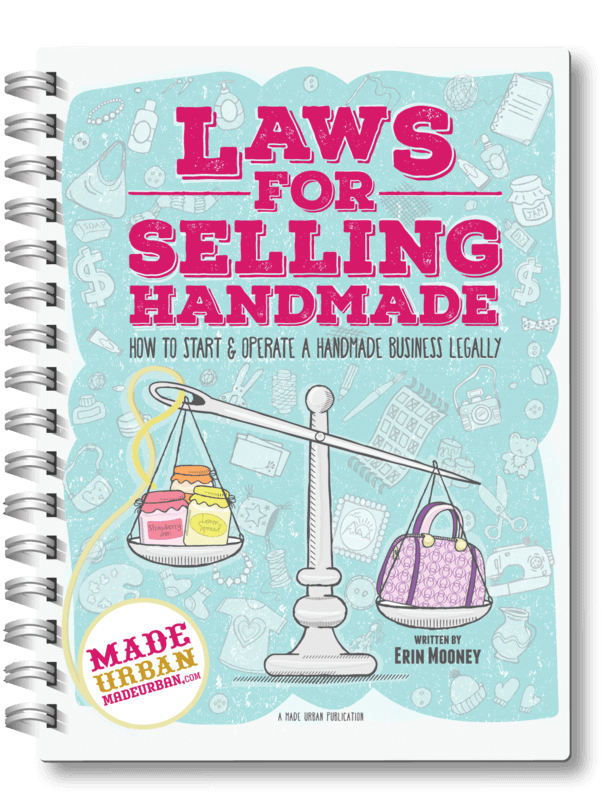 I’ve taught thousands of people how to come up with authentic and effective sales pitches in MAKE MORE MONEY AT CRAFT FAIRS. If your selling game could use a little coaching, download it here. I also share how to finish up a sale strong by paying attention to details. Like asking if they’d like the wrapping tissue in their shopping bag spritzed (with your subtle signature scent). It adds a special touch and becomes your brand’s signature scent. They’ll think of your business when they notice the scent on their way home or take their purchase out of the bag. Lots more fun ideas and tips inside the full ebook. I needed a little help getting conversations going when I first started selling at craft shows. Luckily, my business partner had some amazing icebreakers and they always got shoppers opening up. Which businesses would you give one star to? Is it more because of the experience or the product they delivered? I couldn’t agree more! I’m definitely an introvert lol and I absolutely HATE talking to people when i’m shopping…just leave me alone LOL! So it’s not always the easiest, but I make a point to at least say hello to folks who stop by my booth. I’m never met with anything but a smile! That often leads to people talking about their cats (I make cat toys) or just the event itself, or commenting on my products. I can’t tell you the number of wonderful conversations I end up having with customers (and yes, they turn into PAYING CUSTOMERS)! Last weekend, I even connected with someone about genealogy research (don’t know how we ended up there, but that’s how nice and natural the conversation went…and she bought from me as well)! Get out of your comfort zone and just say hello! Make eye contact! And for me, any time I can squeeze some humor in, I go for it lol! What a great way to get started chatting. I never know what to say to someone after saying hello in a friendly way and the person immediately says: I’m just browsing! My smart aleck self wants to give some sassy comeback but usually I say nothing unless the person asks me a question because I’m just a bit shocked. I’ve thought of saying something like ok, browsing is fun here, but don’t want to put them off. I’m guessing they’ve been subjected to some hard selling tactics in other booths! Any suggestions? I always get this st least once every show. Thanks! I’m just like you Tonya! Introverted…and I love cats…we’d have some good cat conversations at craft shows;) Thanks for sharing your experiences when it comes to getting out of your comfort zone and at least saying hi. Conversation can do so much. Awesome to hear it results in sales for you too! Hey Nancy! In all honesty, there are some people who keep their guards up no matter what you say or do. I remember that exact situation happened to a manager at a major retailer. She gave a friendly “hi” and the shopper snapped “just looking!”. She replied with a “just saying hi”. It made me laugh but probably not the best approach if you want to make the shopper comfortable. Tonya. I am like you. And therefore I hate to talt to people that comes to my stand. I guess I am afraid of chasing them by talkint to them. Actually that has happened…. I find it so difficult. But talking about the weather! Clever idea! I might try that next time. Thank you for the advice Made Urban! I might also suggest asking where they heard about the craft sale or market. This helped me with my last sale and I really was sincere about wanting to know. it also helps me guage where the organizer has done the advertising and I can pass this info onto to her. I would like to point out also, that some vendors may have unseen illnesses that may prevent them from standing and being out front all day. I am one of those, I’m “young” at 46 but have lived my whole life with arthritis. I have several crafter friends that also suffer from MS and arthritis. So standing all day isn’t an option. 1. Change your display from a table to a panel or other display that has you sitting within full view of your customers. Lets face it, sometimes it’s difficult to get around your table as there isn’t much room. 2. Opt out of the chairs provided (unless needed for helpers) and get a comfortable stool to sit on. This raises you well above your table or display to something closer to your customer’s eye level. I’ve found for myself, when I don’t hide, by default, become less introverted. *hint* works for anyone who doesn’t have a hidden illness too! Great tips for those who must sit too! I’ve never been offended by a vendor sitting. Showing you’re interested in a shopper can come across whether you’re sitting or standing.